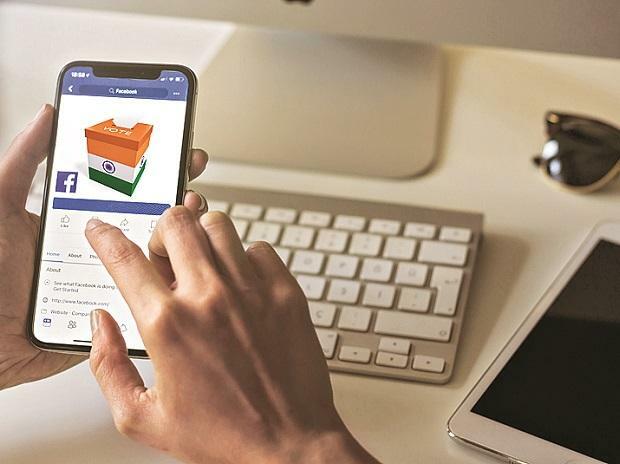 A total of 30,457 advertisements related to politics or issues of national importance have hit the world's largest social media network ahead of the general election. The expenditure on these advertisements was Rs 6.54 crore, shows the data from Facebook's Ad Library Report. “This report is a weekly summary of the library and includes data for ads that have been viewed by people in India. Making this report available to the public is part of Facebook's efforts to increase transparency in advertising," according to a note on the social media giant's website. The ruling Bharatiya Janata Party (BJP) seems to dominate the space. A page called ‘My First Vote For Modi’ accounts for the largest number of ads by number (2,765). Another one called ‘Bharat Ke Mann Ki Baat’ was second (2,429). ‘Namo Supporters’ was third with 2153 ads. The ‘Bharat Ke Mann Ki Baat’ page was the highest spender on advertisements. It accounted for nearly one out of every six rupees spent so far on Facebook's political advertisement’s, according to the data. It was also the biggest spender for the latest week. ‘Bharat Ke Mann Ki Baat’ spent over Rs 20 lakh between March 10 and March 16, the latest week for which the data is available. “We can gauge the scale of social media's role in the 2016 presidential election from the data reported by the Pew Research Center (July 18, 2016). According to their survey, 44 per cent of US adults received information about the 2016 presidential election from social media. That is more than the percentage cited for either local or national print newspapers,” it said. “Trump had almost 10 million Twitter followers to Clinton's 7 million, and his 9 million Facebook followers were about double her number,” it said.